Our second full day of work was exhausting. 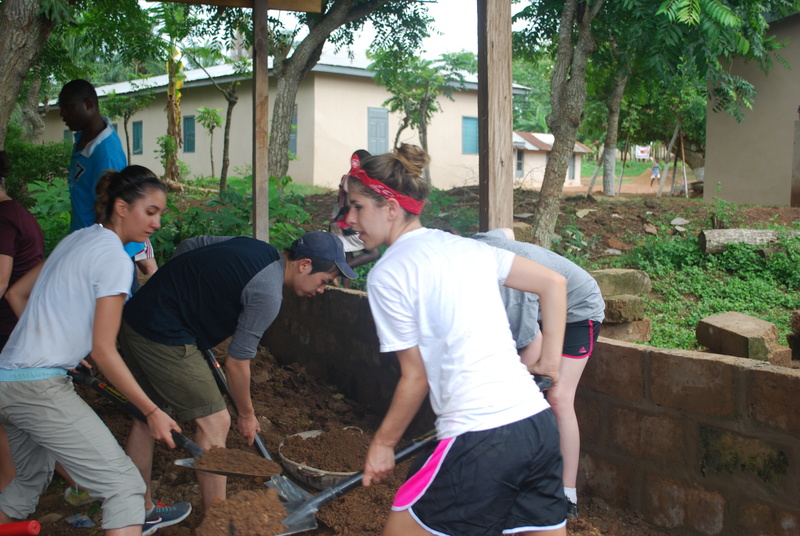 I have never worked so hard in my life — moving bricks from one side of the field to another, shoveling packed dirt to make the floor of the classroom level, throwing rocks in the dirt floor out of the building. Luckily it was a cloudy day, so we did not sweat as much as we could have with the sun beating down. The second part of the day we mainly mixed mortar for the masons. 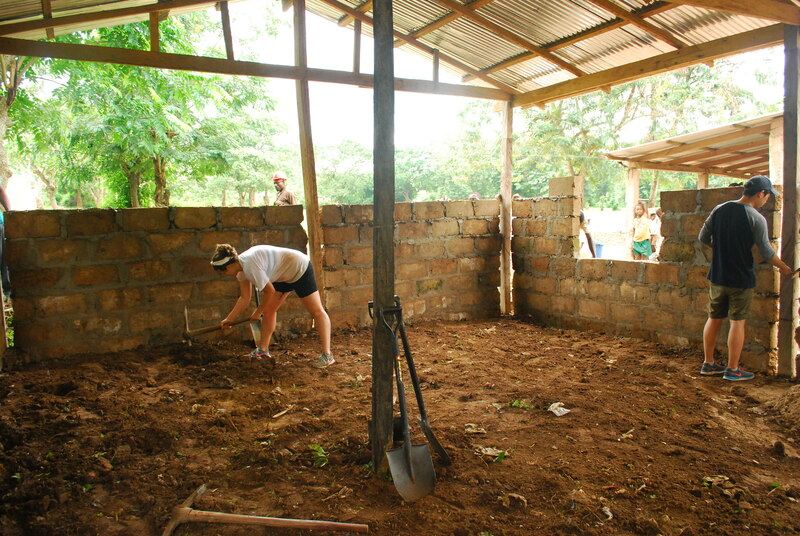 The site became a huge obstacle course with bricks laying around all over the place and children running everywhere. What a sense of accomplishment! We were a good team and worked well together. Even though I was exhausted, I tried my best not to complain. I kept myself busy and kept moving to deter my mind from thinking about lunch. In the evening, we read to the children again at the library. This time we split the children up into two groups — classes 1-3 and classes 4-6. My group read to classes 1-3 outside in Derrick’s family’s courtyard.